Are you in need of an expert carpenter or an experienced joiner in Essex or Herts? When you need work done, you never want the job to be shoddy, rushed or unworkable. You want top quality results every time from experienced professionals who know the value of good customer service. Welcome to K & G Carpentry! Based in Harlow, Essex, we cover everything from fitted kitchens & wardrobes to Garden fencing. We are proud to offer our domestic and commercial clients a reliable, efficient and professional service. We offer free, no obligation estimates. Contact us at K & G carpentry today to find out more about what we can do for you! 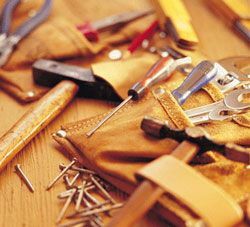 We are happy to provide for all your carpentry and joinery needs!